For when you want to relax your smart wear. 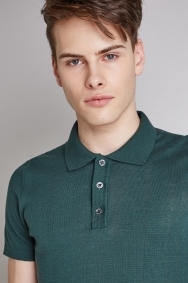 Embrace vintage style with this polo shirt by Moss London. 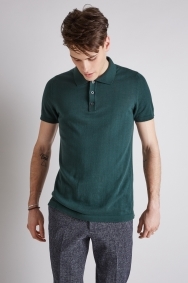 The knitted material is inspired by bygone eras, and the dark green colour adds richness to your outfit. 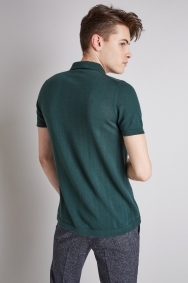 Thanks to the polo neck and material, it strikes the balance between smart and relaxed, giving you a laidback look. Made from 100% cotton, it’s soft and comfortable too. Balance out the casual feel with a pair of smart trousers, preferably with plenty of texture for an on-trend outfit. 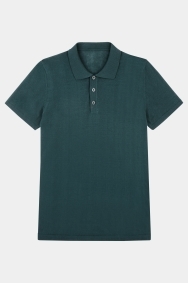 Be sure to button it to the top for a sharp look. Very small fit so will be unable to wear. That's the risk you take with online shopping for clothes! Looks great, good value in the sale, extremelt comfortable.